Diverting a portion of your salary to savings every year can actually increase your happiness and help you save for your future. Read on for more information about this financial practice. The salary of a Biglaw associate starts at $190,000 according to the latest Biglaw salary scale. For the average law student with 1-2 years of post-college work experience, this is a staggering amount of money. It’s probably four or five times as much as they’ve made in any previous job. It’s tempting to grow into the salary all at once. You’ve been working hard and delaying a lot of gratification to get to this point. You might think it’s time to live it up a little. The problem is humans are remarkably adaptive to their environment. Pop Quiz: What’s your preference between winning the lottery and becoming paraplegic? I’m going to guess you said winning the lottery. Turns out people have studied happiness levels for both groups and, according to Harvard psychologist Dan Gilbert, both groups are equally as happy after one year. It turns out, humans have a really difficult time understanding the magnitude of a future benefit or a future loss. The same types of studies have been applied to income levels. How much income does it take to achieve maximum happiness? Economic Nobel Prize winner Angus Deaton thinks $75,000 is the magic number, with some minor variations for the coasts ($85-$90K for NY and CA). Earning above $75,000 doesn’t bring additional happiness. Instead, we adapt to the new quite quickly. If you’re still a little skeptical, go talk to a fifth-year associate. That fifth-year associate is now earning $260,000, compared to the first-year associate making $180,000. Is the fifth-year associate $80,000 happier than they were four years ago? Probably not. Like everyone else, they’ve adjusted to the increase in salary. This despite the fact their salary has increased more than the median salary for US households. If you believe: (i) humans are adaptive, (ii) $75,000 is a reasonable salary and (ii) earning an extra $80,000 by itself will not make you any happier, there’s a simple solution. Limit your salary but not your earnings. By choosing to grow slowly into your salary, you will amass a huge war chest of savings (or pay off your loans), keep yourself off the Hedonic Treadmill and eliminate the risk of misusing such a high salary. Phone bill about $2Gs flat. No need to worry my accountant handles that. – Notorious B.I.G. Of course I’m not proposing that you give the bulk of your salary to charity. I’m suggesting that you set up a simple system to automatically handle your finances and that you give yourself a fixed salary each month which is substantially lower than your actual salary. By setting up a system where it’s difficult to withdraw money, you’ll give yourself two benefits: (1) money we don’t see is less likely to be spent and (2) any hurdle to accessing your money is an effective barrier to keep you from raiding it during stressful career moments. Picking The Number. So, how much money do you need to live on when you’re fresh out of law school? Can you live on $60,000 a year? $80,000? Take a few moments to calculate your fixed expenses, plus leave a reasonable cushion. It’s up to you to decide what makes sense. I’m living on a lavish $60,000 salary which works out to $5,000 a month. There are people doing far, far better than I am. I hope they shame me in the comments. The point is that you need to come up with a number that is reasonable for you. Keep in mind that this number excludes payments on debt, retirement savings, etc. I’m also trying to capture as many reimbursable expenses as possible. The number you pick is an artificial limit for your living expenses. If you get the number wrong, it’s very easy to adjust this later, so don’t worry about it too much. A Few Reasons To Artificially Limit Your Income. You recognize that you have no idea or experience on handling a $180,000 income and that it’s a wise move to start lower. You recognize the value of anchoring yourself at a lower income to start. You are excited about the idea of banking/saving so much money and are willing to do whatever it takes to ensure you “capture” as much of this income as you can. You are unsure whether a Biglaw career will be for you and you want as much of a cushion as possible because it gives you the flexibility and options to pursue a different career path if you want. You have a fixed amount that you want applied toward your debt each month (and you’ve refinanced your student loans) and you want to separate that payment from your discretionary income for physiological reasons. Setting Up Your Accounts. I’ve created this handy image to show you how the cash flows in a “set your salary” financial system. This particular setup may or may not work for you but could be a good starting point. Fixed Salary. After you’ve calculated the salary you need, contact HR and set up the fixed amount to be transferred to your main checking account each pay period. Everything Else. At the same time as you set your fixed salary, tell HR to send “everything else” or the “available balance” to Vanguard or your savings account of choice. 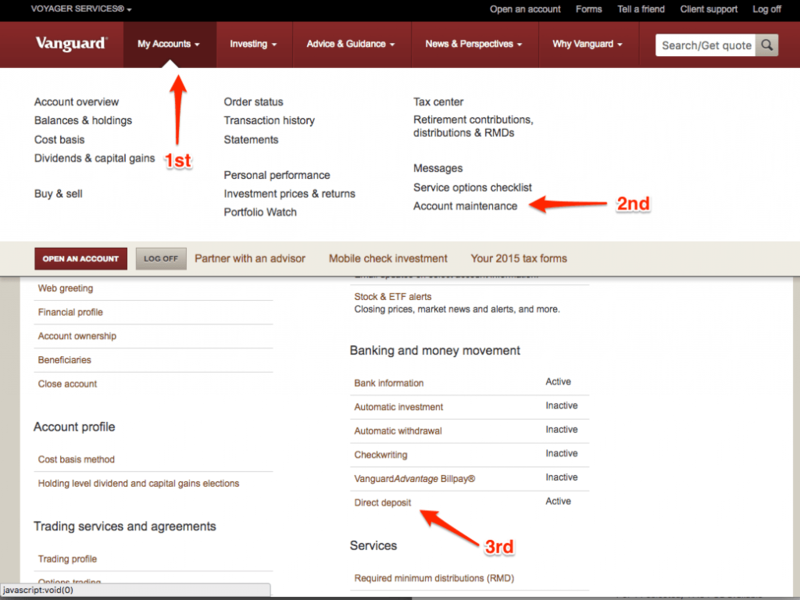 It’s easy to set up direct deposit with Vanguard, but for some reason they’ve hidden the information. You’ll need to log on to your account, select My Accounts / Account Maintenance / Direct Deposit as shown below. It’s payday – hurrah. Your fixed amount will be deposited into your main checking account. It’s a predictable number, so you’ll know what to do with it (pay rent, etc.). 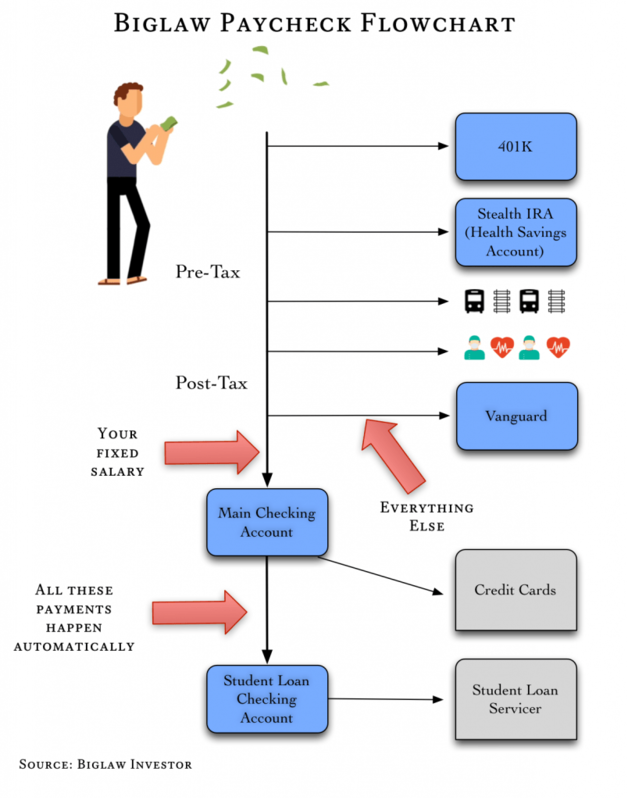 Everything above the fixed amount will be deposited into your Vanguard account. From there you invest the extra money according to your preferred asset allocation. Over time you’ll notice that the “available amount” deposited each month goes up twice a year: (1) when you’ve paid the full amount of annual Social Security tax and (2) when you receive raises each year. Ready to give yourself a raise? Whenever you think it’s appropriate to bump up your salary, it’s as simple as making one tweak with HR to increase the amount going to your main checking account. I think you’ll find this system flexible as you move through the ranks. What if I’m Still Paying for Student Loans? Increase your fixed salary to cover the amount you want to pay toward student loans. Think you can live on $5,000 and pay $3,000 toward student loans? Set the fixed salary deposit at $8,000 a month and send everything else to Vanguard. Once the money hits your main checking account, set up an automatic sweep to move the student loan money to a separate checking account held at the same bank. Make all of your student loan payments from the separate checking account. As you may have guessed, there is no one right way to do this and the strategy can apply no matter your income level. The important point is to allow yourself to grow into your salary over time rather than all at once. If you take the time to set up a system now – even if your “available balance” is only an extra $100 – it will pay immense dividends to you over time. Do not become the fifth year associate making an extra $80,000 a year with nothing to show for it. Let’s talk about it. Let us know what you think in the comments. Have you set up a similar system? For the more senior lawyers, how have you handled raises? I like it! This is good advice for first year associates and anyone else that wants to build up the war chest in pursuit of financial freedom. Thanks Dominic. You’re right, it’s all about building up that war chest. I think having a portion of your paycheck automatically diverted to savings/investing accounts is excellent advice. Out of sight out of mind. If you need a big balance in your checking account, I’m sure it’s tempting to splurge and spend it on something. I’ve tired to increase my 457 contributions as I’ve gotten raises. It’s a great way to limit lifestyle inflation. The key insight for me was choosing how much to send to my main checking account and having the “available balance” sent to Vanguard. It all comes down to human psychology, which I think is the most important thing for any investor to understand. For lawyers not on the Biglaw income scale, your strategy of putting raises into the 457 makes a ton of sense. You don’t miss it, you get to keep virtually all of the raise and it doesn’t end up leaking out of your accounts. One thing that I’ve always been curious about is how lottery winners, athletes who sign multi-million dollar contracts, 1st year investment bankers who earn 6 figure salaries after bonus, or even recent lawyers who’ve graduated can be in so much debt or near bankruptcy.. I understand they spend more than they bring in but I find it very hard to spend that much money! For lawyers, it’s because a ton of them are graduating with over $200K in student loan debt. Law school tuition has been skyrocketing and with easy access to federal loans, most students don’t think twice about taking out the loans since they assume everyone else before them followed the same path. Little do they know that the previous generation of lawyers took out significantly less debt. As far as spending money, it’s easier than you think. I spend over $6,500 a month on taxes, which is by far my greatest expense. Rent in NYC isn’t cheap either. A decent 1 bedroom apartment will cost you $2,500. Plus, there’s a culture of work-hard/play-hard, so you’re likely to end up in lots of social situations out with friends during your precious time out of the office spending $100 a night on food and drinks. But this site is about making sure we’re all living the life we really want. First, thanks for the compliment – White Coat Investor has certainly been an inspiration for this site. If I can achieve my mission of building a repository of information for attorneys specific to their situation, I’d consider this project a success! I’m skeptical when people say “money can’t buy you happiness.” I think the studies are clear on this point. Money does buy happiness. Ask anyone who struggled with money previously whether they’re financially happier now than they were when they struggled with money and 100% will probably say they’re happier. But the real lesson from the studies is that money only seems to buy happiness up to a point. So how much is enough? It’s got to be different for differen people, different geographical locations, family obligations, etc., but at some point I do think that “more money” isn’t the answer to any question on happiness. In my experience, I wasn’t any happier earning a 5th-year salary than I was earning a 1st-year salary (a difference of over $100K). What made me happier was pursuing financial independence, being free from debt, having a biglaw eject button, etc. Which makes me think the whole question about money buying happiness is really a question about security. All humans want to feel safe. Having more money, if used wisely, can increase feelings of safety and security. There’s probably a whole future blog post on that subject. As to your other point that lawyers will say they are happy from an image standpoint, my anecdotal evidence strongly agrees. There’s a corollary in Biglaw where associates act and look busy with work when they’re not. People are afraid if they admit that work is slow (which is often completely out of their control) it will give an impression that their work product is bad. In the end, it all comes down to image. I wonder why lawyers would do that about happiness – why fake happiness if you’re not? Or better yet, why be unhappy when many times you have the power to control your own happiness? As the Stoics believed, everything that’s happening to you is only happening by virtue of the reaction inside your own head. There’s so much you can do to change your situation. I hope we can talk about more topics like this on the site. Maybe we’ll figure it out together. This is enriching. Thank you. Excellent, glad you got something out of the article. Great website and insight. 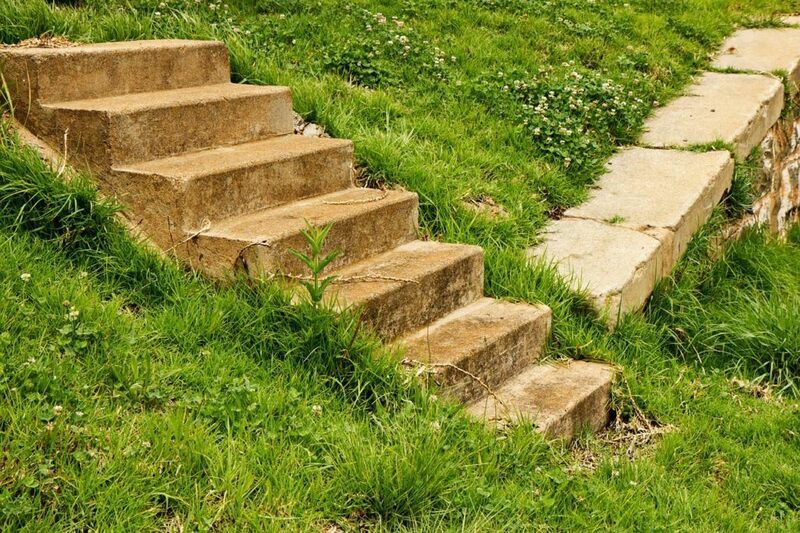 I found my way over here after I read JL Collins “A Simple Path to Wealth” and followed through on some other blogs, including a guest post I saw from you on the white coat investor. I’m not a big Law Firm guy (anymore) but solo practice in Texas. The tips are great, even for us small folks. I am working out the details on how to put more money in automatically because my income can vary month to month. I wish I had paid more attention to these things 10 years ago. Not that I wasn’t investing, but I could have been doing more and paying more attention to what I threw money into. Look forward to following this website as I work toward buying my freedom. It’s not that I don’t like what I do, but look forward to having the choice. Thanks for putting this together. They say that the best time to pay attention to personal finance issues was 10 years ago (so you’re spot on with that comment!). On the other hand, the second best time is today. I think we all wish we would have done more in the past but the important thing is to get yourself on the right path now. That’s a great clip. Thanks for sharing. I have been pushing Collins book on all of my friends. I hope they pay attention, but I’ve done my part. I guess I could share this video to show them that “ballers” have a reasonably balanced portfolios in low expense ratio index funds, not boats and BMW’s. Thanks again for your work on this website. It has been a great resource.